Out of the fog and the clouds of San Francisco and into the sunshine between the giant Redwoods at Northwood Golf Course. Woody! He somehow missed everything but the fairway at Hole #1. Miraculously, no trees were injured on this opening par 4, dogleg left, 290 yard hole. A fun, easy (?) hole to open the round, even though we were only able to post one par. The fairway is fairly wide open for your tee shot at Hole #2 but it narrows quickly with your second shot on this 383 yard par 4. Hole #1 – Par 4, 290 yards. No trees were injured on our first shots of the day! The par 3 third hole green is surrounded by these behemoth trees on all sides. The putting surface is large but the back flag placement can be difficult. What club do I extract from my bag at Hole #4? This par 4 is only 292 yards but…it’s a dogleg to the right with a giant redwood blocking the way. If you can fade/slice it around the tree – hit driver. Just take any club you know will find the fairway past that tree. I hit a hybrid that did the trick. The green is long and narrow and slopes back to front. It is much better to be short of the flag…not long like me. The first par 5 at Hole #5 plays through a grove of trees; depressions and hills in the fairway; and bunkers. Dave and I butchered this hole and it is not even the #1 handicap hole – good luck! Hole #6 is another fun, short par 4 of 280 yards. I would love to see how a golf professional would attack this hole. Your tee shot has to make it through a narrow opening of giant trees and then sharply turn to the (left) if you want to drive this green. Of course driving the green was not a priority for me, I just wanted to successfully clear the trees. I did, but then I had another senior moment (they are coming way too often). I could not locate the green until Ed tapped me on the shoulder and informed me the green was actually to the right. With the help of our friends, Dave and I somehow achieved par. To review, this is a dogleg, right. Hole #6 – Par 4, 280 yards. Dogleg RIGHT! At Hole #7, we had our first bear sighting. They were standing watch behind the green and Woody had to navigate his way around them as he was just a little long on his approach at this par 4. I’m not sure how we were doing it, but Dave and I again matched pars. Bears laughing at our putting at Hole #7. There is big sand all around the par 3 eighth hole. If you somehow avoid the bunkers, there is a rolly-polly, hour-glass green to content with. The 533 yard par 5 ninth hole is very narrow with a little rise in the fairway. If you are a little wayward, you will be playing pinball through the redwoods. Just keep hitting it straight until you get there! Ace: What else could you give an Alister MacKensie design that plays through the Redwoods? Golf Magazine called it “one of the top five MacKensie courses”. 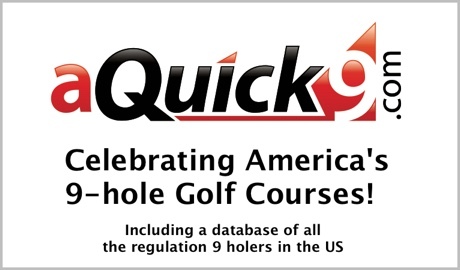 Golf World Magazine called it “among the best nine hole courses in America”. We agree! Make a point to stop before or after your round at the Northwood Restaurant & Bar. A large menu and generous portions will not disappoint. We continued our tour through the redwoods and wine country for a visit to the Francis Ford Coppola Winery as we made our way north. They tout cinema, wine, food, hideaways, and adventure. I’m just glad we played golf before our visit. Thanks to Woody for being the designated driver. It’s about Birdies, Bogeys, Buddies & Beer (and sometimes wine).